Hi everyone, I know Mr. Robot season 3 has technically ended and been renewed already and been renewed for season 4, but we haven't watched yet, have we? Full speed ahead and damn the torpedoes! Hi everyone, is it October 7 already and Mr. Robot is back? Okay, I'm a little behind. This working-for-a-living takes up a chunk of time, don't it? Without further delay, we roll S3:E1 "eps3.0_power-saver-mode.h" after the break. It's the season finale of Mr. Robot and if you aren't afraid: you haven't been watching. 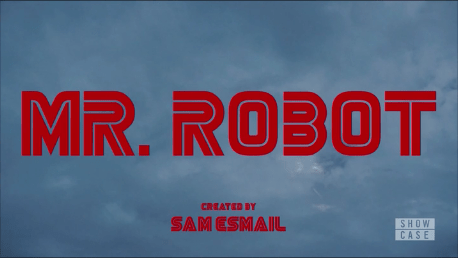 This has been a roller coaster of a season and this finale episode has been written and directed by Sam Esmail, so we all need to brace ourselves. Besides that, last week was mostly calm and trippy, so there is no way SOMETHING big isn't happening. Not like other shows that use season finales to be giant manipulative lazy writing arseholes (you know who you are), but Mr. Robot has clearly been building to something and it's time to find out what exactly that is. Rolling S2:E12 eps2.9_pyth0n-pt2.p7z after the break.